Mezcal is warm and goes down easy -- the antithesis of what people traditionally think of the spirit with which it’s most often associated: tequila. The liquor, typically derived from the agave plant (tequila itself is technically a form of mezcal), was once considered the Mexican equivalent of moonshine, but in the last few years has seen a boom in popularity globally. (In fact, this surge in popularity may also be cause for its eventual scarcity, as The New Yorker noted recently.) In NYC, that trademark smokiness and Scotch-like sippable quality has helped the booze move from niche bars like La Biblioteca to a near-ubiquity status. It's no longer hard to find mezcal on a cocktail menu in New York, but these are the nine spots in the city that continuously explore the absolute best ways to use it. Yes, you can actually eat insects at The Black Ant, whose name reflects the menu’s inclusion of off-kilter, crunchy items. But don't let that distract you from how good the drinks are; the Yum Kaax in particular is a standout among the smoky cocktails. The low-key flavors of homemade corn juice, lime, agave, and worm salt make the drink an excellent entry point for mezcal newbies, while veteran drinkers will appreciate how the simplicity of the ingredients brings out the spirit’s flavor. An inventive menu of crispy pig ears and spicy brisket jerky take the spotlight at this beer-forward BBQ spot, but grab a seat at the small bar so you can get all the details on the highly underrated cocktail program. The star here is the house Paloma. The simple tequila, grapefruit, and soda classic is reinvented with a base housemade grapefruit-habanero shrub. 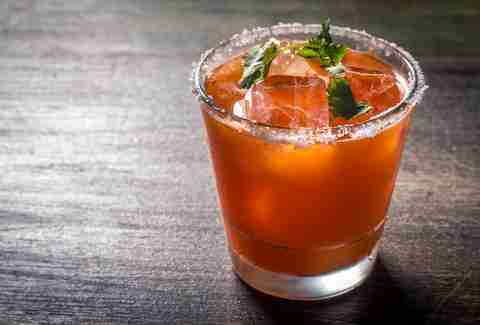 The spicy syrup, which takes two to three days to make, cuts the warmth of the Ilegal Mezcal, while the smokiness brings out the citrus flavors. The cocktails at this UES Mexican spot go far beyond the bottomless brunch specials that typically grab attention. The refreshing cucumber serrano martini starts with El Silencio mezcal, an Espadin varietal that has bright fruit flavors on top of the typical smoke. Combined with the cucumber, slight spice of the serrano, and citrus, the drink finds a balance between acidity and sweetness, which mixes well with Tajín spice. El Born brings Catalonian flavor to a neighborhood better known for its pierogis. Small plates pair well with big cocktails, and the drinks at El Born are both hefty and interesting in their flavors, and The Wawa is exactly that. 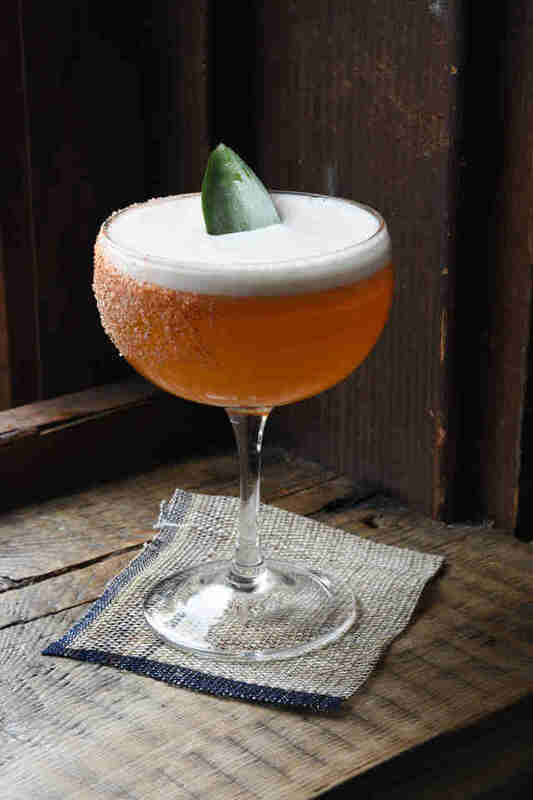 A layering of bold flavors, the drink combines mezcal, orange liqueur, lime, agave, and homemade habanero tincture; that habanero tincture gives the drink a hot bite, while the orange liqueur and agave provide a sweet, floral base. A large mezcal selection at Fonda's three locations makes it an ideal spot for purists to dig deeper into mezcal or novices to first acquaint themselves with the spirit's natural flavors. Should you go the cocktail route, reach for the Azulada. It’s a refreshing, summery choice, made with Montelobos mezcal, fresh lime & homemade blueberry jam. 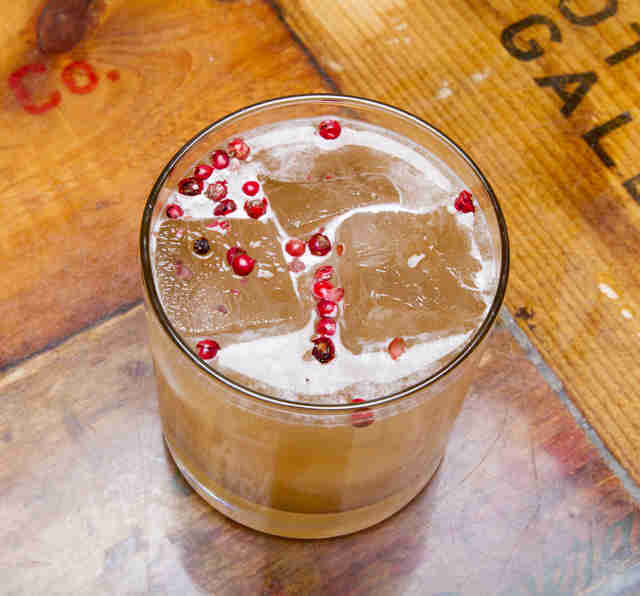 The drink walks that rare fine-line of being sweet without cloying or syrupy, while the use of jam shows off mescal’s versatility in mixing well with unexpected and equally strong flavors. The Falcon Lake Incident, the signature mezcal cocktail at this Bushwick mainstay, riffs on the Jungle Bird, a classic of rum, pineapple, and Campari. Here, pineapple and cappelletti maintain the frothy texture and bitter component of the original cocktail, and pink peppercorn, smoke from the mezcal, and floral overtones from the chamomile syrup act anchor the drink. Cosme is the most celebrated Mexican restaurant in NYC, and the level of the cocktail program matches the food. The Striptease, a combination of Vida mezcal, Dolin blanc vermouth, guanábana, lime, and absinthe salt, makes for an exotic drink worthy of its moniker. “Beyond the notes of smoke, [our] mezcal cocktails focus on the secondary and tertiary notes that mezcal offers,” explains Yana Volfson, director of beverages. Flavors of fermented fruit are revealed slowly thanks to the guanábana nectar. Come for the Striptease, and then go another round with the more floral El Ninja. On a weekday night, the Wayland's large windows, wooden interior, and typical live music give the impression that you’ve somehow, just briefly, escaped city madness, and its Smoked and Roasted cocktail pairs well with said escapism. 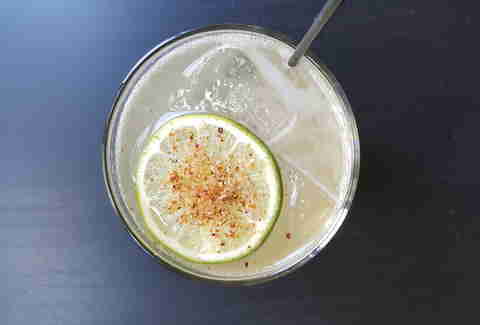 With mezcal, fresh pineapple, chipotle-infused agave nectar, lemon, and chili salt, the drink goes down smooth and finishes with just a hint of a kick from the pepper notes. The Wayland’s bartenders know how to make a well-balanced cocktail: pineapple dances with the mezcal’s smokiness without overpowering it. All of the mezcal cocktails at this West Village Mexican restaurant demand respect, and the margaritas almost beg that you substitute mezcal for tequila. But The Devil in Oaxaca cocktail is the real standout, using flavors that play up the smoky flavors. 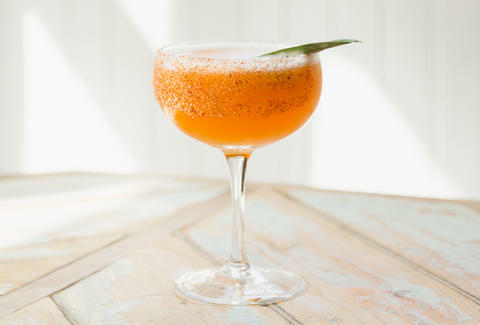 The carrot juice, cilantro, agave, and orange bitters make for a daring combo that surprisingly works (the carrot juice's subtle inclusion will make you reconsider its power as a cocktail ingredient). Kristina Headrick is a Brooklyn-based writer, artist, and social media mermaid in the experiential space. Follow her on Twitter and Instagram.